If you live in California, you are probably getting annoyed with the entire rent control story. I mean, there has to be a cap on how high the rent can go, right? This growing financial burden has been protested, it has been appealed, reviewed and even criticized. Yet things seem to only be getting worse. Of course, depending on which area you live in – your rent may not be so exorbitant. But there are individuals out there looking at between $2000-$4000 per month just for a modest home. The question is, what exactly is rent control? And how is it supposed to be helping manage the crisis all Californians are currently facing? Just What Is Rent Control, And Why Should I Care? 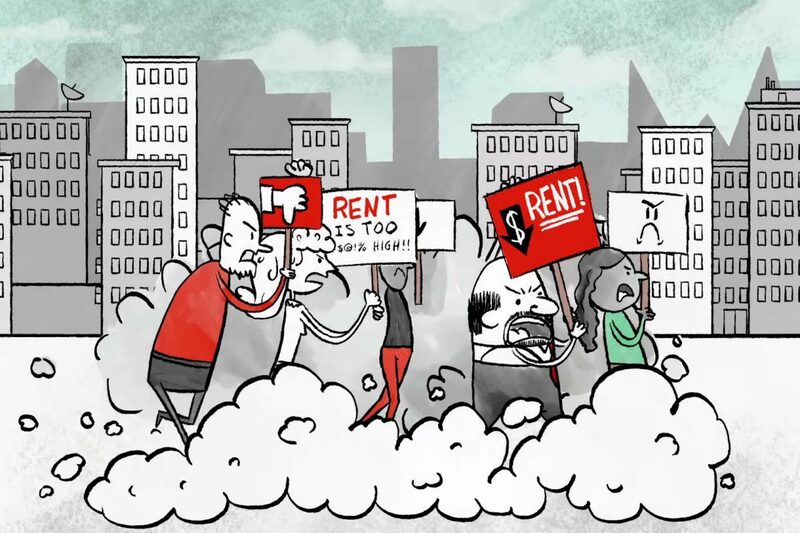 As a landlord, rent control is probably a real thorn in your side. But for tenants, it is supposed to be a lifesaver. Also known as rent stabilization, rent control limits how high landlords can raise rental prices on a year-to-year basis. Generally, this is linked to the consumer price index. Causing prices to be raised from anywhere between one to five percent annually. The same policies also protect tenants from being evicted for no reason. As otherwise, landlords could evict their tenants; all to raise their prices. When rent control was first released as an official bill – it had good intentions to keep tenants safe from crazy high rental prices. Yet there was one huge flaw, which comes in the form of vacancy control. In essence, vacancy control (Costa Hawkins) actually makes sense. Basically, when a tenant moves out, the landlord can revalue his rental according to the current market value. Which is reasonable. Think about three, four or even five year tenants – by the time they leave, the property will be severely undervalued in terms of rental prices. But the problem is with the skyrocketing rental prices, the market value is insanely high. Meaning even the most basic homes are slowly only becoming affordable to the upper middle class. How Did California Get To The Situation It Is Currently In? Which makes sense. Put a tighter leash on rent control, while the government expands development to provide more affordable housing solutions. That’s a no-brainer, right? Well, landlords disagree with Schur’s thought process. Despite the rising cost of living – landlords are firmly against rent control and all that it stands for. Claiming that it is not the government’s place to dictate how much they charge their tenants. There is also the argument that rent control in itself is one of the reasons behind the rapidly increasing rental costs. As more and more developers are staying away due to lack of financial incentive. According to those on this side of the argument, without rent control there would be a higher supply of developers ready to lend their services. Which would reduce the demand of property and consequently lower prices. Life without rent control, would be like living in a city without water. Thing’s would become tough, quickly. Even if abolishing rent control meant a higher supply lower demand, the consequences of this could leave thousands, if not millions homeless. As the first thing landlords are likely to do with the policy out the window is raise their rental costs – forcing hard-working citizens out of their homes. These citizens that are facing living on the street are likely to move into a different state to find affordable living, which would harm the economy and force businesses into a hiring frenzy. Property taxes will also need to increase. Heck even brick and mortar businesses will find themselves in a pickle trying to afford the new cost of living for their employees. Meaning more homes, and businesses will be sold off and countless citizens would be displaced. At the end of the day, yes – abolishing the rent control policies would inevitably lead to landlords being forced to lower their rental prices. But at what cost? For a long-term strategy, this is probably the biggest mistake that could be made. But, all that can be done is to wait, and see what happens!